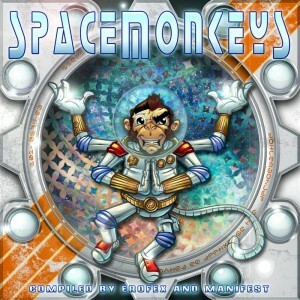 Space Monkeys is an explosive collection of 12 previously unreleased songs from Neurotrance Records and Kesuene Records. Jointly compiled by Erofex and Manifest, this is designed to be an amazing journey through psychedelic trance music giving an extra dosage of party vibes. Mastered by Erofex with artwork by Defib. MP3 Download | FLAC Download | WAV Download · Download count: 8,038. This one is very unique and creative. Thanks for the free relase ! The #1 #7 and #10 are so crazy !! Thanks for this release !